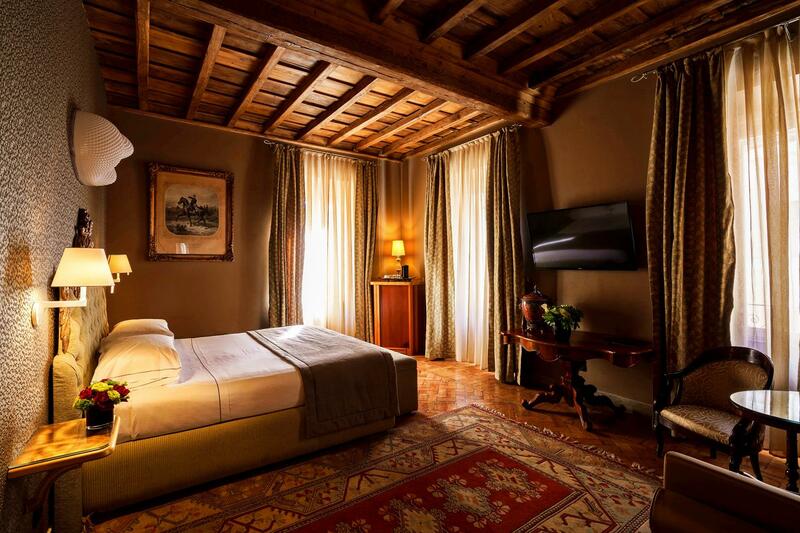 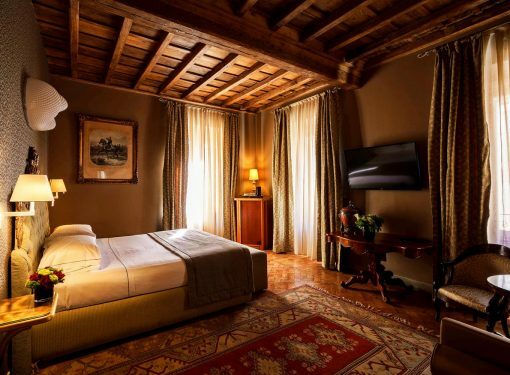 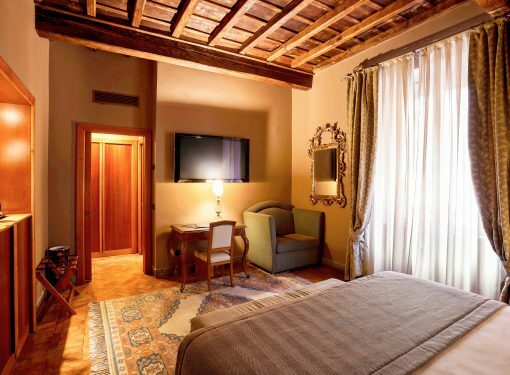 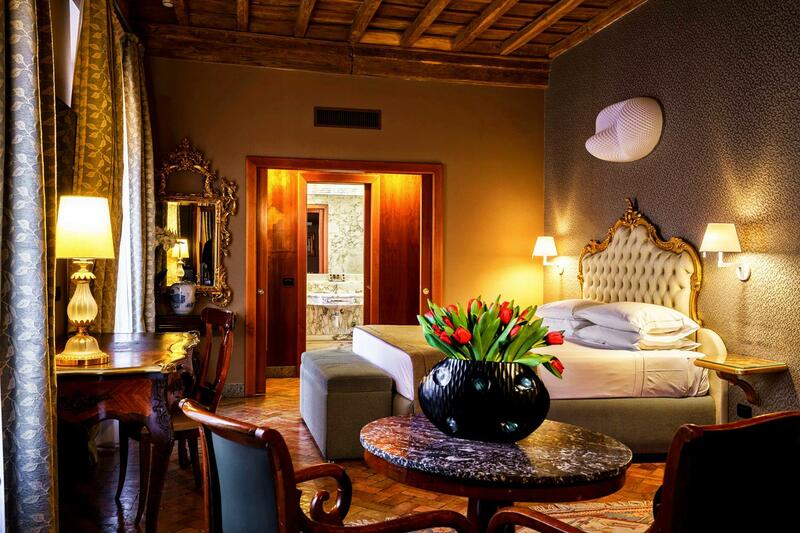 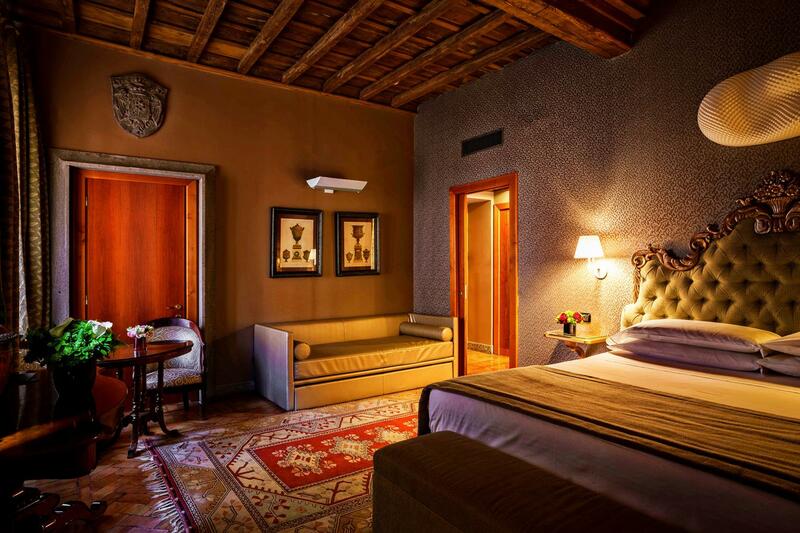 The right combination of the versatile features of our Superior rooms and the elegance of a Suite. 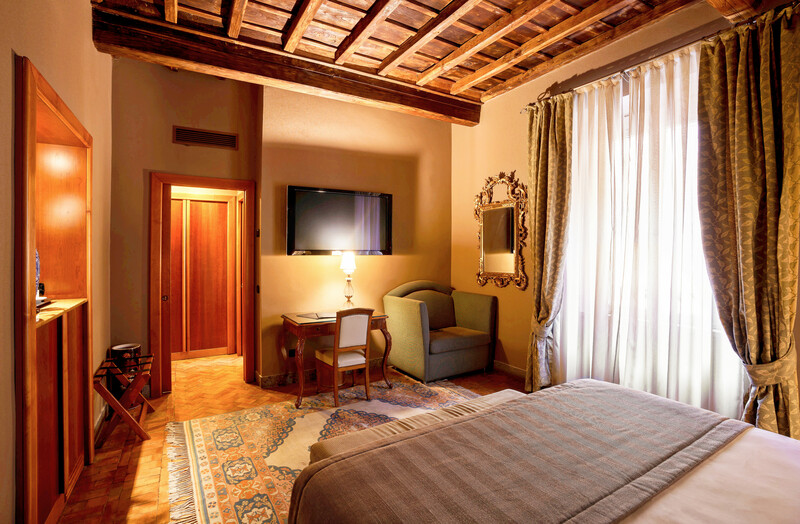 Designed to provide comfort and luxury in a single package, our Junior Suites can comfortably accommodate up to four persons. 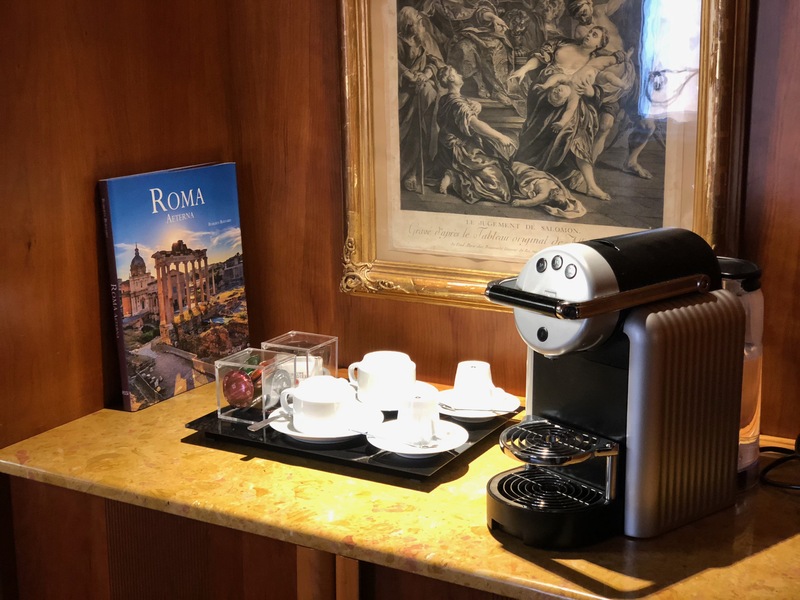 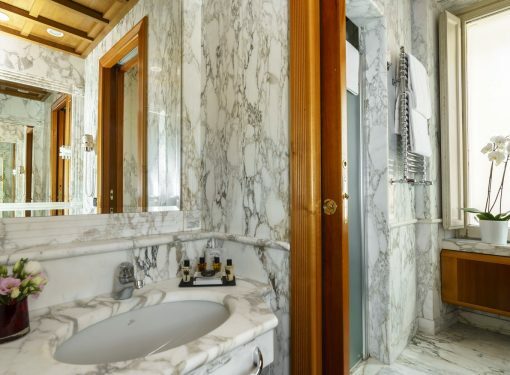 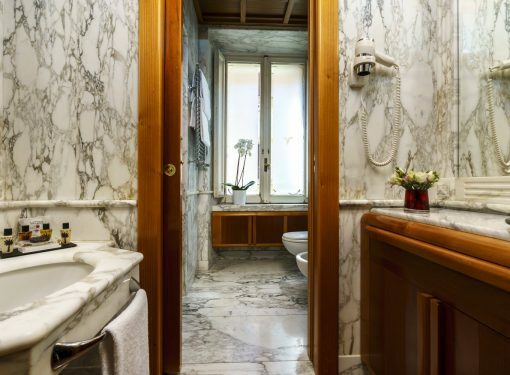 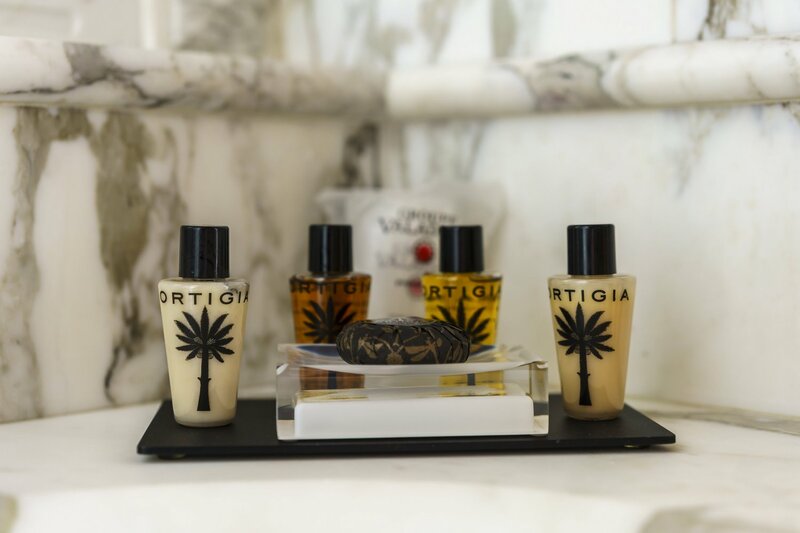 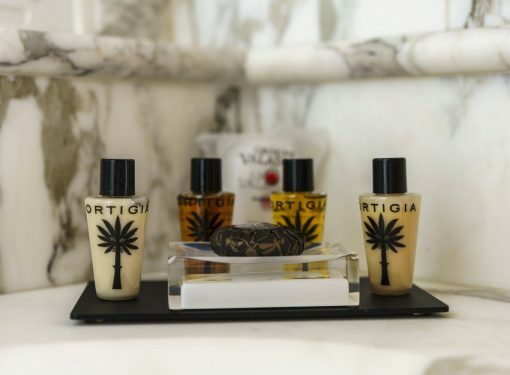 We neglect absolutely nothing in these spacious environments, with a special focus on detail in the bathrooms, with design furnishings and marble sculptures. 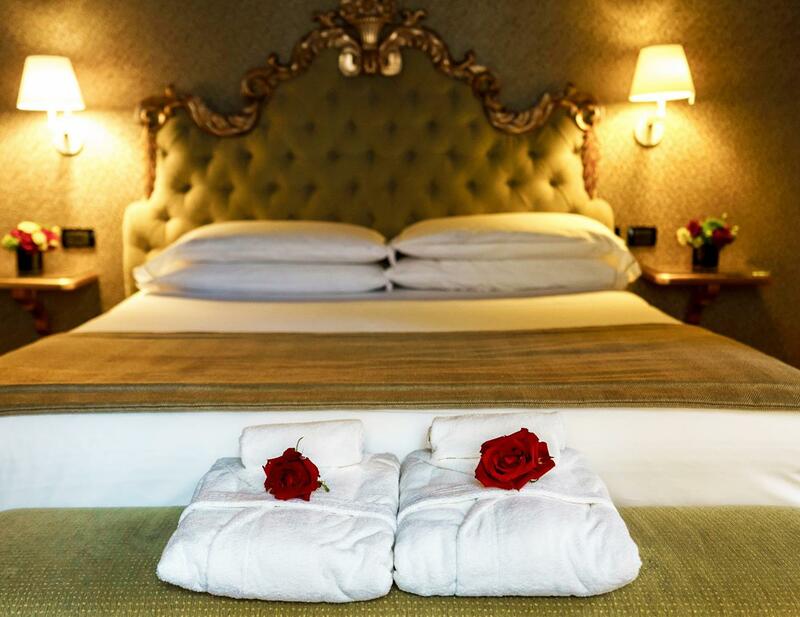 As comfortable as a home, but with the extra features of a luxury hotel. 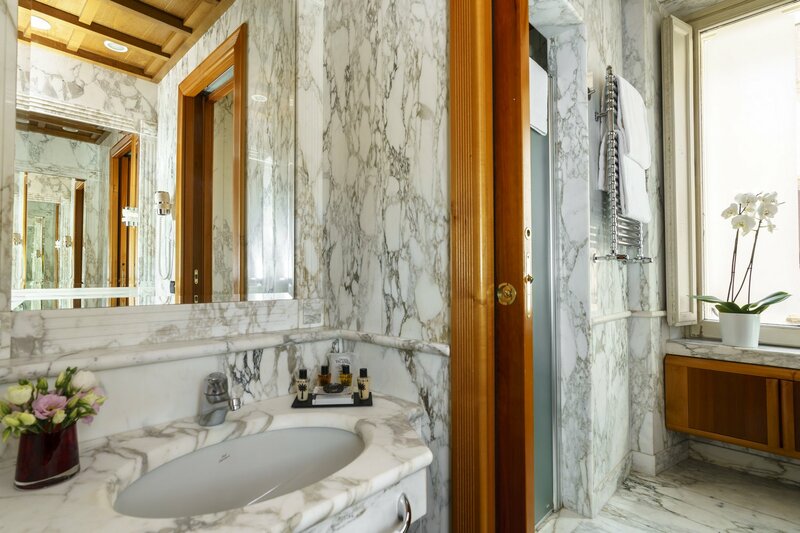 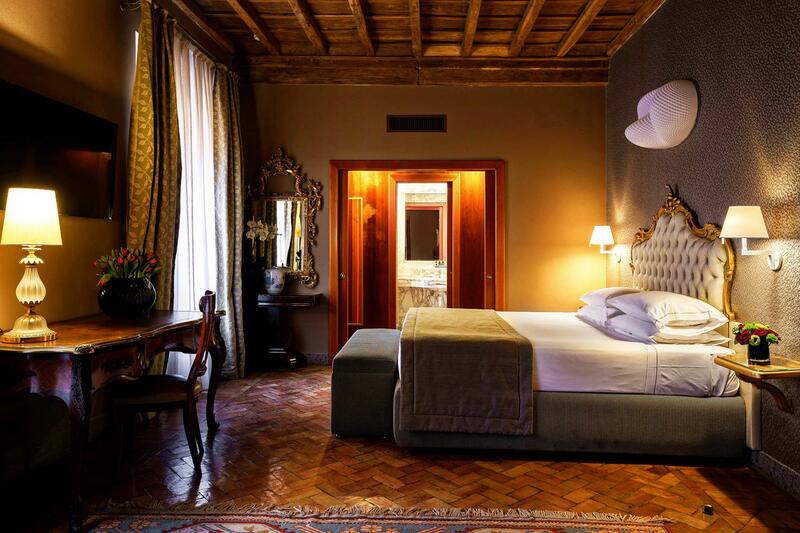 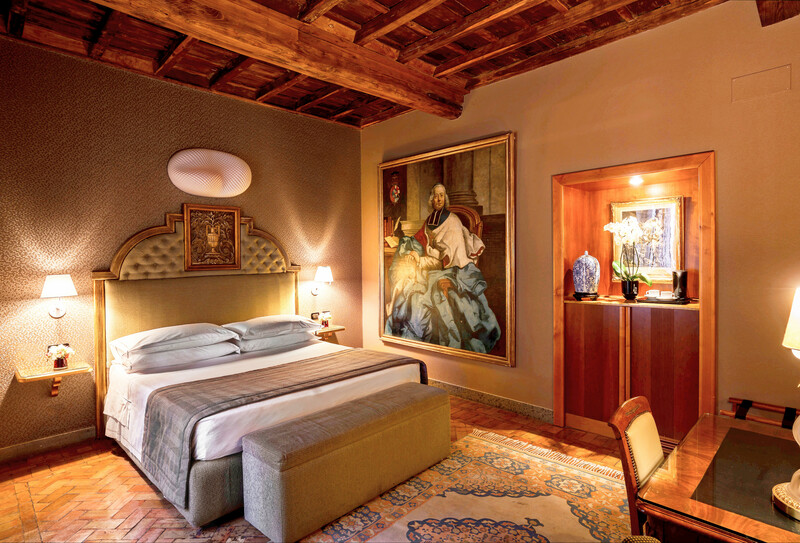 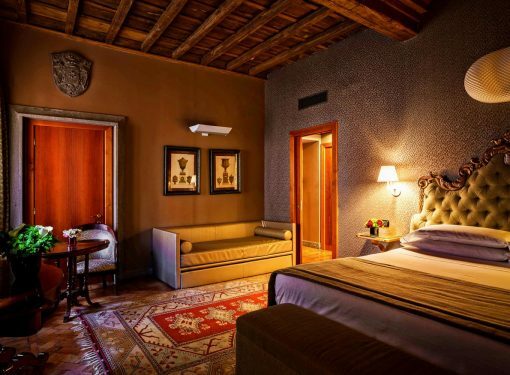 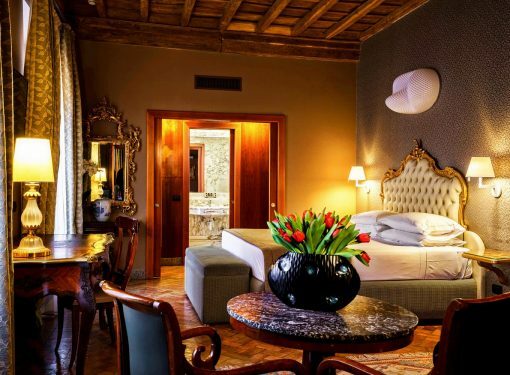 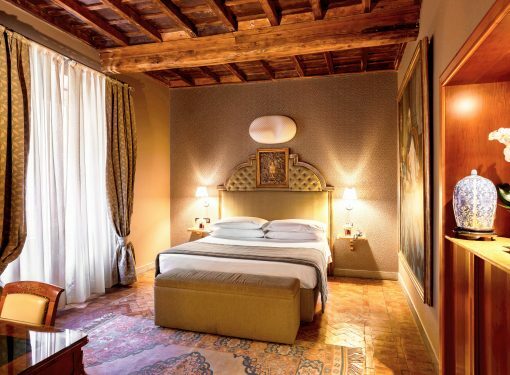 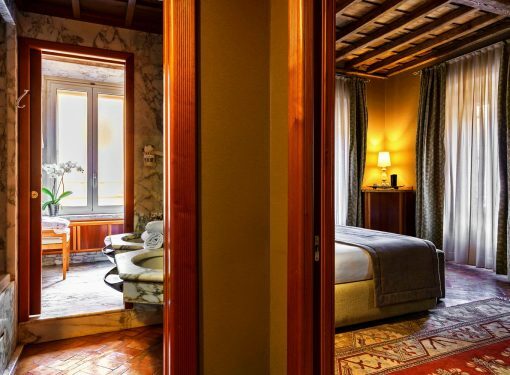 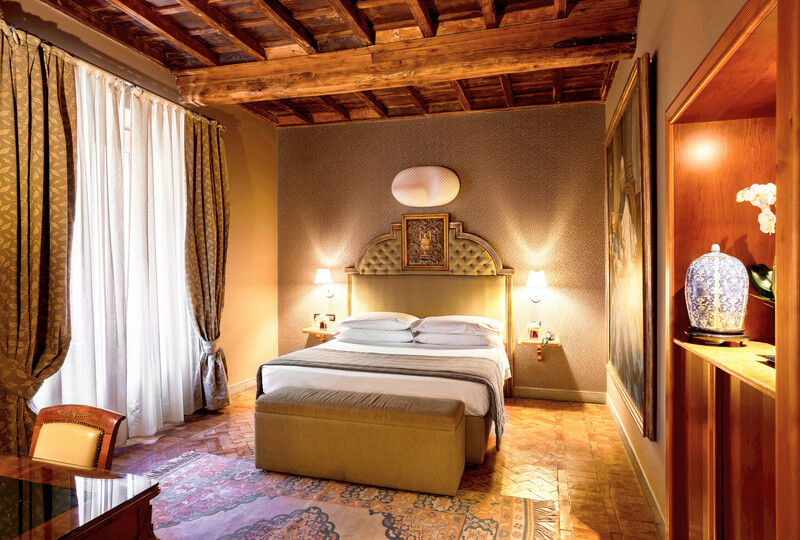 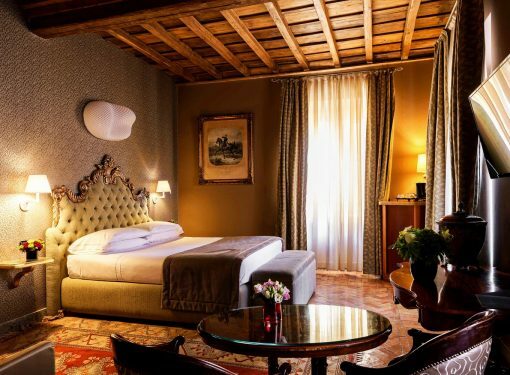 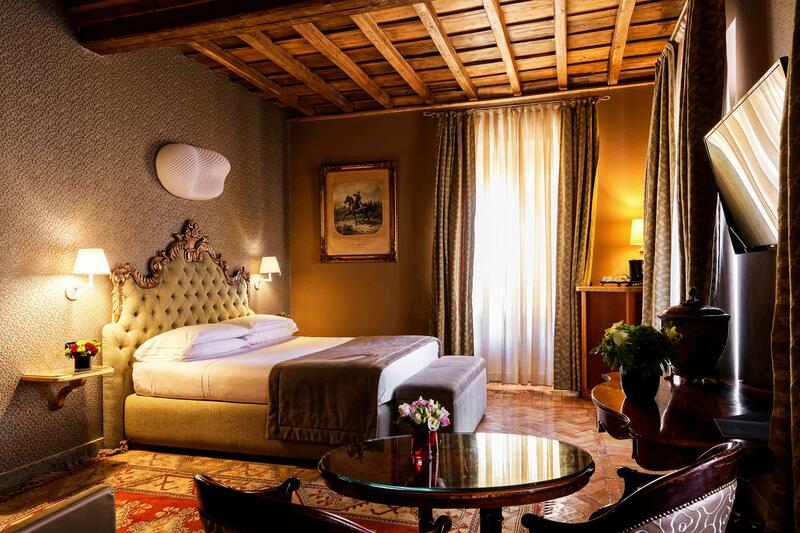 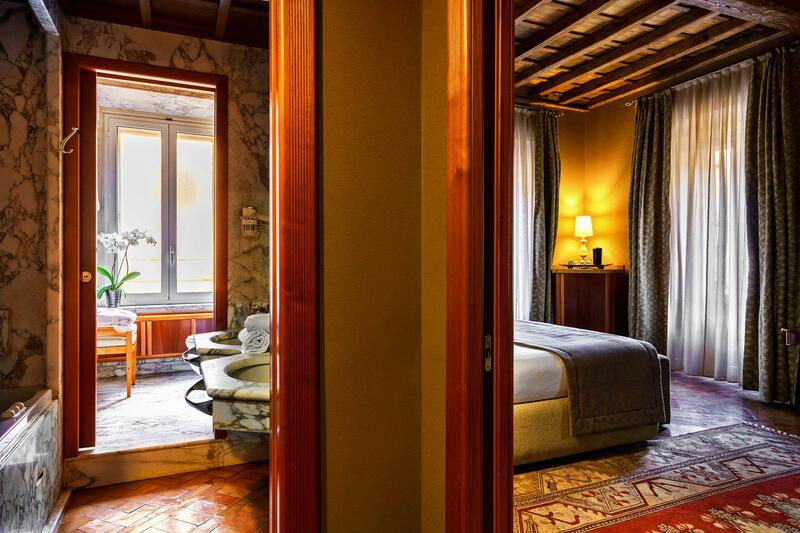 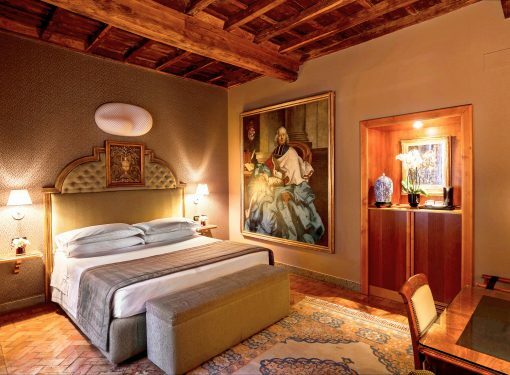 Entering a Suite at the Hotel Valadier is like stepping into a new dimension. 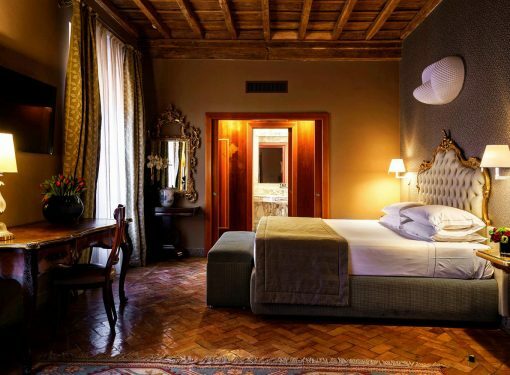 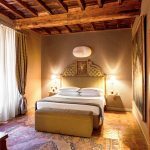 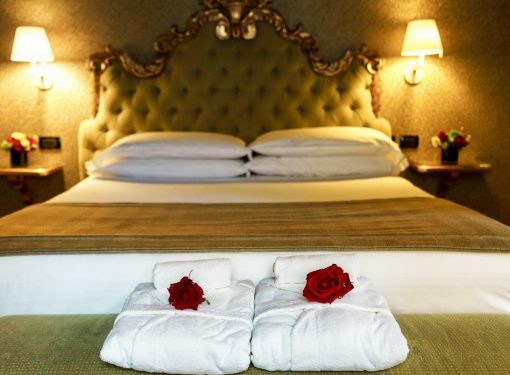 Large spaces spelling sophisticated charm, king size bed, embroidered fabrics and furnishings fit for a king, for a truly fairy-tale experience. 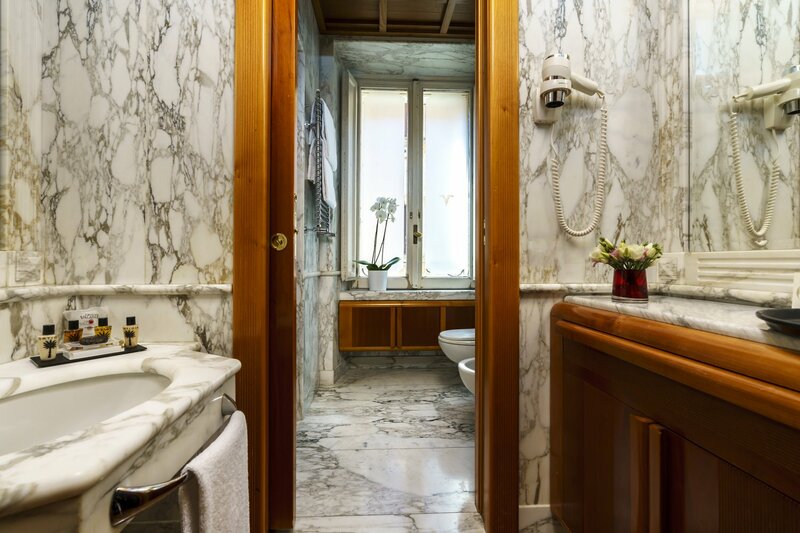 Unique for their elegance and style our Suites are real luxury apartments in the heart of Rome, ideal for a single person, a couple or a family.